It is hard to keep kids happy and entertained during the summer break, but if you tell them they will be learning during summer break, you can forget about it. Until now. Learning during the summer months doesn’t have to be a struggle, you just have to make it fun. I don’t know about your kids, but any time I can incorporate fun activities that has an emphasis on learning to my kids, they soak it up. This past month, I have found some Summer Activities For Kids that aren’t time-consuming and don’t take a lot of work. One great resource is Lakeshore Learning. They have some amazing products that make your “planning” life a lot easier while still keeping the kids engaged, entertained and learning. Here are just a few things that I have done this summer to help keep my kids’ minds working. My son read the statements and got intrigued to try them out and see if they would actually happen. 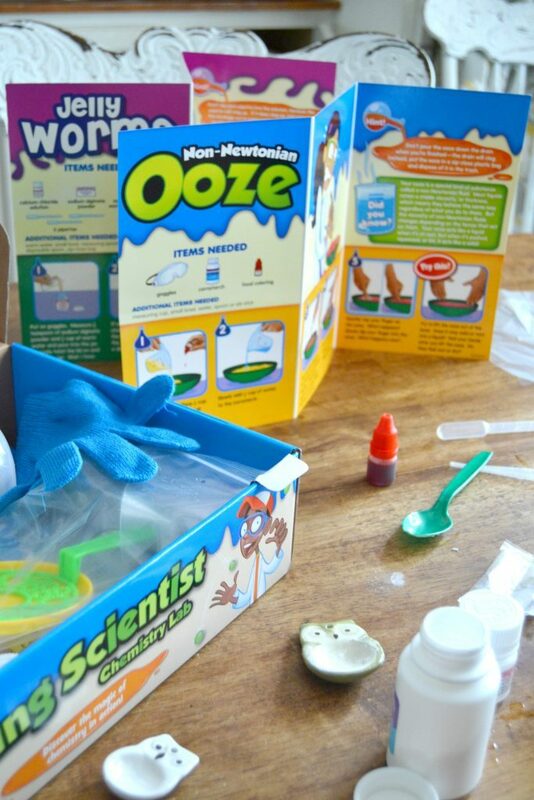 With this kit, they moved water with yarn, blew up a balloon with soda and Pop Rocks, stuck a wooden skewer in a balloon and cooked a smore in a solar cooker! How fun is that?! 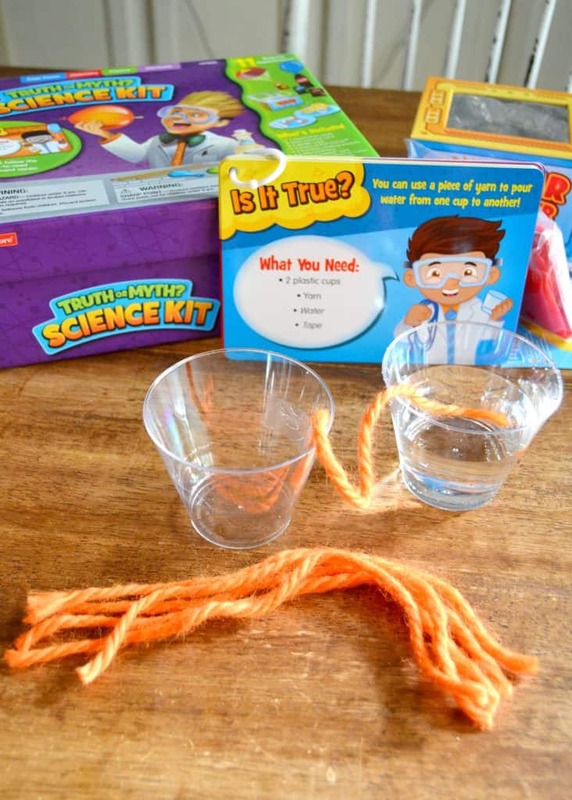 The Young Scientist Chemistry Lab and the Truth or Myth Science Kit brought up some great conversations about how and why things work the way they do. I was surprised with their hypothesis (science word in action) before we started each experiment. Free Creative Play: I don’t think that kids have to be doing structured math, science and social studies all summer long to keep them on the learning path. Some free creative play is always a good thing. 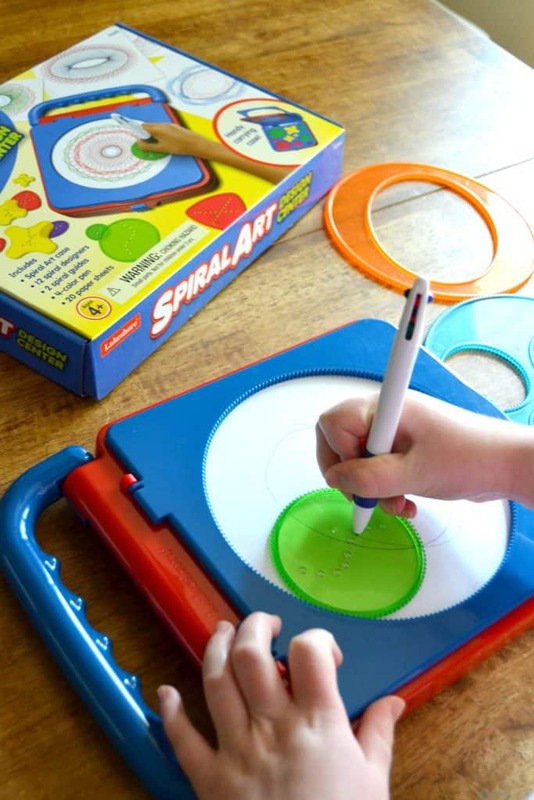 The Spiral Art Design Center from Lakeshore Learning is great for this. Kids can come up with all kinds of creative ways to express themselves with this kit. Once my daughter got the hang of it, she made so many designs and masterpieces to hang on our art wall. Scavenger Hunts: I know what you are thinking. How can scavenger hunts keep my kids learning during summer break? Well, I am here to tell you it can and I have been doing it with my kids for years. My kids love to hunt for things. If it is Easter eggs on Easter or fossils on a nature walk, my kids enjoy hunting for things. I have taken that love and made it into many different games that keep their minds working during summer break. In the past, we have made alphabet books from letters we found in nature, we have searched for shapes, colors and textures and this year, I had them search for states. Yep. States. I printed off all fifty states and laminated them. Then, I taped them to wooden skewers. 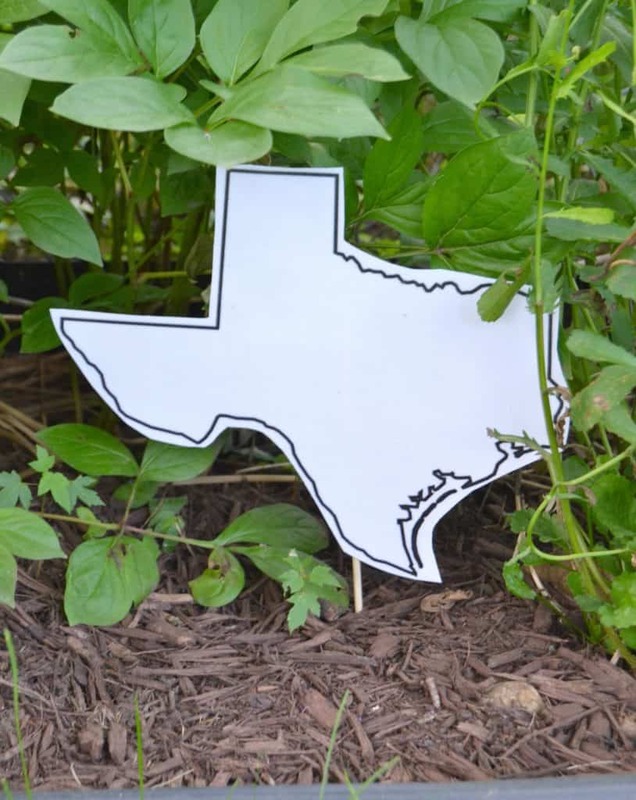 I hid them all around our yard. I had the kids search for them and when they found one, they had to name the state and tell me the capital. When we had found all of the states, we put them together like they would be on a map. My kids loved this! 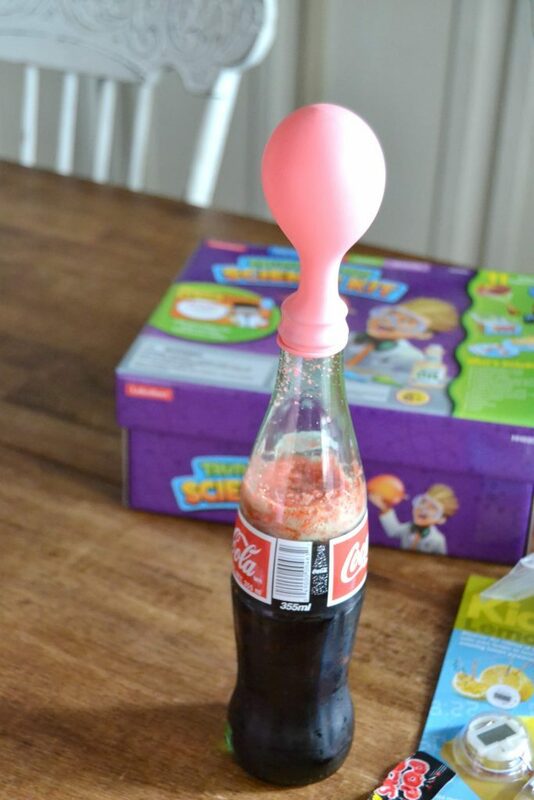 You could also do this with presidents, the alphabet, numbers, math problems…… anything you want your child to work on. Lemonade Stand: This one is so good. 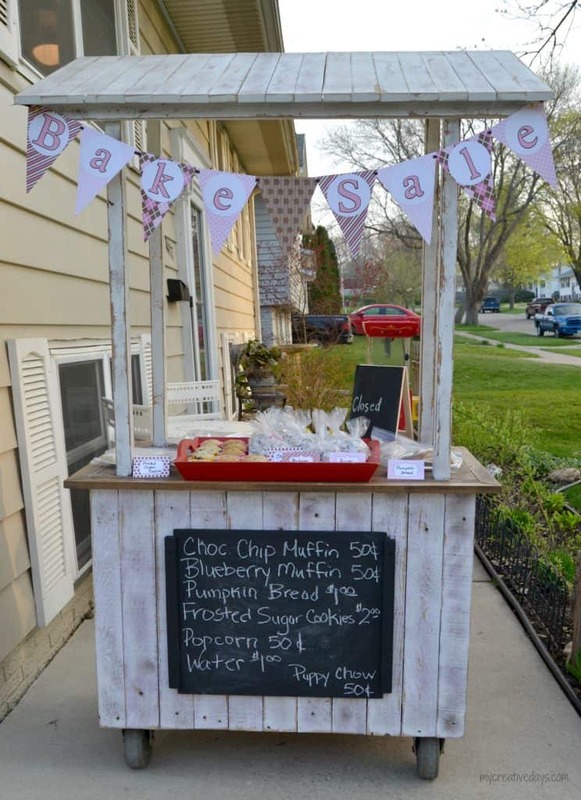 We have a neighborhood yard sale in the spring and fall and every time, my kids want to set up a stand to sell lemonade and baked goods. Now that they are older, they are in charge of coming up with what they want to sell, the signs they need for the stand and buying the products they need to make their products. Their stand always sits away from where I am sitting so they have to do all the money (counting back money, giving change, etc.) on their own. I can’t tell you how many times I have gone to a store or restaurant and the high school kids can’t count back change. It is sad. Over the years of doing this, our kids have learned a lot about running a little “business”. They know what it takes to start their stand and what they have to do to make a product people want to buy. They also learn how important it is to know basic math skills outside of the classroom. Books: Reading is so important. Reading is great for vocabulary, story telling and it is key for improving writing skills. I have made reading an important part of our day since our kids were babies. Now, my kids love to read. I know that is not the truth with all kids, but the more you make it part of each day, the easier it will come. Make it a non-negotiable. I think it is very important to find books your kids will love. Take advantage of your local library. Let your kids pick out different books to try. If they don’t like them, take them back and try again. Whatever it takes to keep them reading. There are so many summer activities for kids that will keep them learning all summer long. It doesn’t have to take a lot of time or money to come up with different activities. Start by thinking of the things your kids like to do and then incorporate a “learning curve” into those things. Don’t make it work, make it fun. What are some of your favorite summer activities for kids? Please leave your tips and tricks in the comments below. I am a blog ambassador for Lakeshore and this Summer Activities For Kids has been compensated.